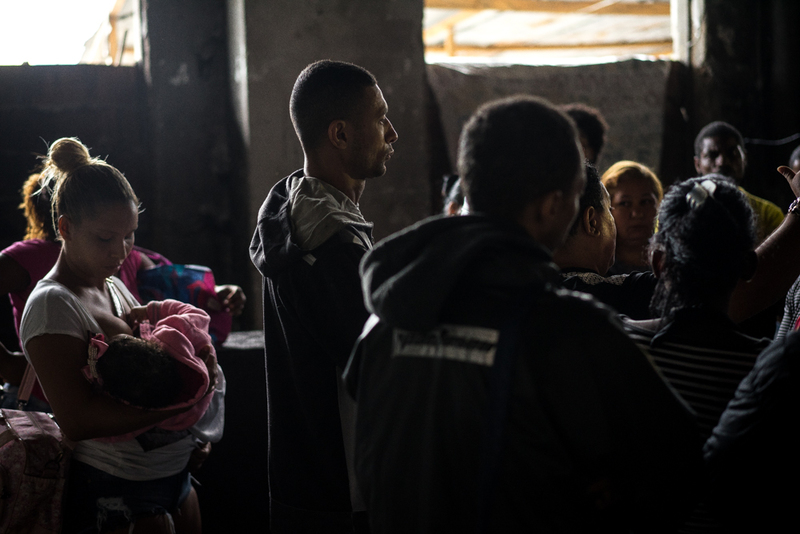 For Rio’s Poor, Finding shelter is a never-ending struggle. The police arrived shortly after sunrise on August 8, 2018, just as many of the residents were leaving for work. The authorities flanked the walls of the old Ministry of the Economy building as those that had made it their home -- in some cases for more than a decade -- were given until noon to leave. The riot gear, batons, and pepper spray equipped by the police made it obvious what the alternative was for those that refused to go. The former government building was erected in the shadow of Rio’s famous Maracana stadium, located in a worn down neighborhood called Mangueira. But with time it was abandoned, and the city’s poor moved in.. They set up thin plywood walls to divide the vast building into apartments. On the wet August morning the derelict building's 150 families were told that they had to collect their belongings and get out. The conditions for those squatting there were never ideal. Gangs controlled the area surrounding the massive building and stray bullets from the city's drug wars were always a risk. The roof leaked and in one area it had collapsed in on a subdivision belonging to a family of five. Luckily no one was home at the time. But despite all the problems, the neglected building was a shelter for families trying to survive in a city which has been shaped and made famous by its economically segregated housing market. “We don’t live here because we want to, we’d just as soon live in a regular house. But its just too expensive to live in Rio. If I want to get to work on time then I have to live wherever is close enough,” said Willian, a resident of the Red Indian, another building in Mangueira also scheduled for destruction. In April 2018, Rio’s government announced that it would be building 2000 homes for the city’s poor as part of a program called “My House, my Home.” To make space for the developments several old buildings including the former Ministry of the Economy building and the Red Indian were scheduled to be demolished. Those living inside were told by government representatives that they would have priority when the new houses were ready but that it was expected to take longer than a year. In the meantime, many of those living inside were left without anywhere to go but the street. Rio’s difficult geography has resulted in many of the city's disenfranchised being forced to live in whatever shelter they can find or build. Among the poor, the poorest live in abandoned buildings. Those that can afford it build red brick and corrugated Iron houses on the side of the hills or in the city's suburbs. These improvised housing solutions make up Rio’s iconic favelas, home to their own vibrant culture. In recent years the number of people living in favelas has increased substantially. According to a study by the Instituto Pereira Passos Rio’s favelas have experienced their most significant growth since 2012, growing nearly 330 thousand square meters - about half the size of Disneyland - between 2016 and 2017. But for many building a home in such informal settlements aren't cheap and come with their own risks. “It costs a lot of money to buy material and pay for labor. Most people build a part of their home at a time as they can afford it. But you never know if the government will come later and kick you out after you’ve spent all your money,” said Antonio Barbosa as he worked on his nearly complete home in the jungle behind Copacabana. He says he would never be able to afford to live in legal housing in the same area. 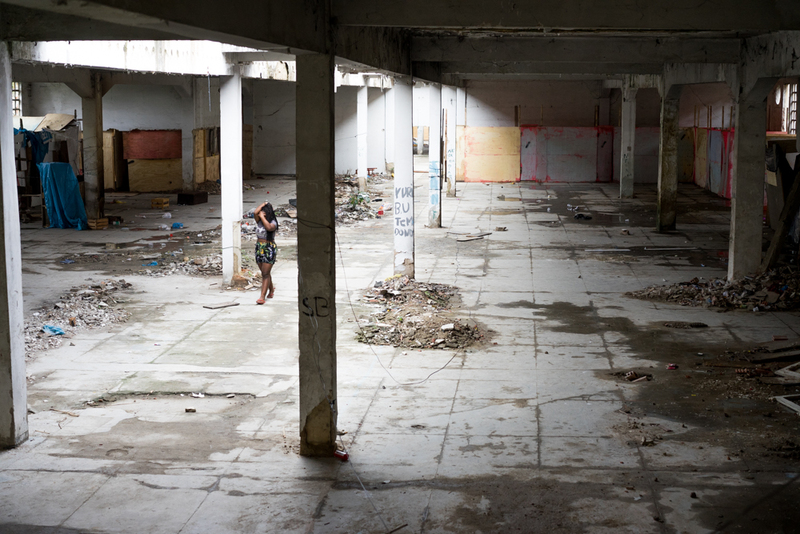 The expense of living in favelas has made illegal squats inside abandoned buildings like the old Ministry of the Economy building one of the few options for the city’s more impoverished residents. But as the buildings are condemned for destruction by the government and the residents forced out many end up moving down the street to any other abandoned and disused space. Representatives of Rio's Mayor say that they are trying to do the best they can to help in a difficult situation. 70 of the 150 families living in the building are eligible to receive 400 Brazilian Reals a month, and when the houses are built on the vacant lots, the former residents will be given priority. All Portfolio We're living in a war For Rio’s Poor, Finding shelter is a never-ending struggle. Rio De Janeiro Plagued by Protests in the Wake of Austerity Measures, Government Corruption. Freedom Of Life - Harm Reduction in Portugal's Narcotics culture. 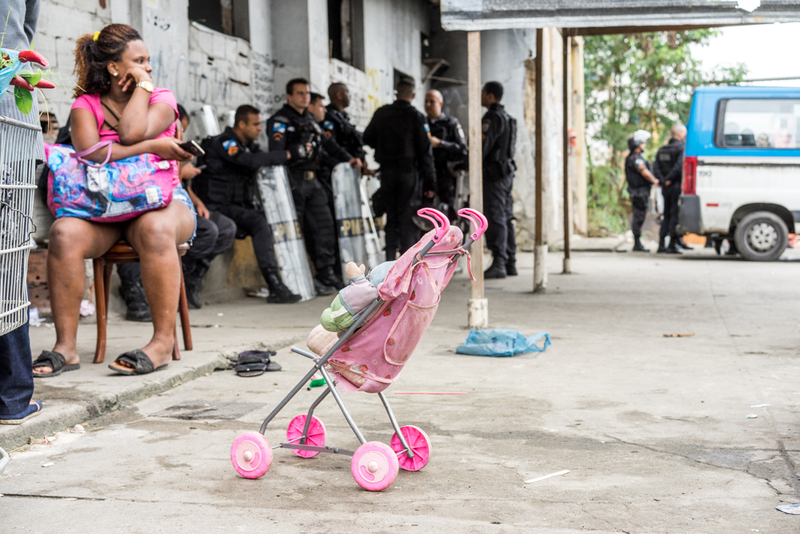 Portfolio We're living in a war For Rio’s Poor, Finding shelter is a never-ending struggle. Rio De Janeiro Plagued by Protests in the Wake of Austerity Measures, Government Corruption. Freedom Of Life - Harm Reduction in Portugal's Narcotics culture.